This month, we look into how the colder months affect chemical storage and safety in the workplace. As winter approaches and colder temperatures start to hit, it’s important to note that climate alone influences a lot of key factors for industrial organisations – both in terms of storage and the safety of your workforce and site. In this article, we’ll cover how to easily mitigate problems caused by cold weather on your site this winter. Temperature control is a critical factor when storing quantities of valuable products such as solvents, adhesives and coatings. It is essential in many industrial processes to maintain the optimal temperatures for these products to obtain the highest product quality for goods produced. For processes such as paint mixing, adhesive appliances and ingredient storage – companies need correct temperature controlled storage that is both compliant and fit for purpose. 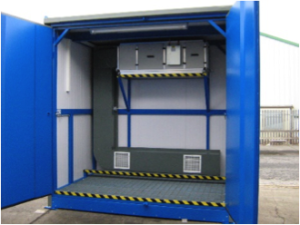 Chemstore specialises in the manufacture of bespoke temperature controlled chemical stores that can be designed specifically for your product requirements. 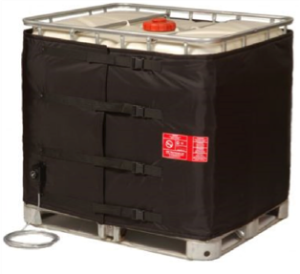 For individual IBC containers which require daily use and need to be kept above freezing Chemstore also supply IBC and drum heating jackets which can be safely used in flammable environments on your site as they are ATEX rated. This bespoke highly specified module was designed to maintain accurate internal temperatures in ATEX rated environment. As the colder months approach, the requirement for the onsite health and safety manager to be wary of seasonal environmental hazards such as surfaces affected by rainfall and icy conditions becomes critical. Taking employees’ welfare into account doesn’t have to be complicated or time-consuming.